Experienced and novice shooters are invited to participate in GLGA’s 4th annual Sporting Clay Shoot. Join GLGA for an exciting outing featuring the fast-paced sport of clay shooting. 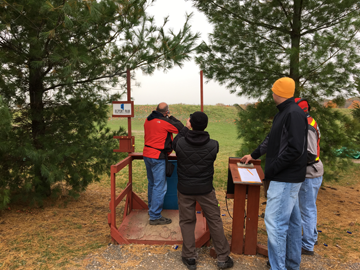 Participants move through several stations that will test their ability to track and shoot clay “pigeons.” The afternoon also includes a a social hour. Come and enjoy an autumn afternoon outdoors with your industry colleagues. Bring your customers, or reward a staff member for a job well done. 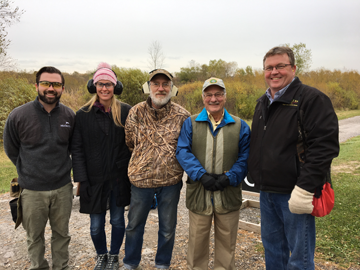 Waukesha Gun Club is Wisconsin’s largest shotgun-only course and was the home of the 2016 WI State Sporting Clays Event. The club is conveniently located just off of I-94 20 minutes west of downtown Milwaukee. The price for this adventure is $85. Gun rental will be available from the Gun Club (shotguns can be shared). Experienced shooters are welcome to bring their own shotguns. Online registration is now closed. If you haven’t registered, you are still very welcome to attend. Please come and register onsite with Sharon Flick.